I am in love with this…how cool is this Industrial Farmhouse Cutting Board DIY!!! I need one and I am going to make my own this weekend! 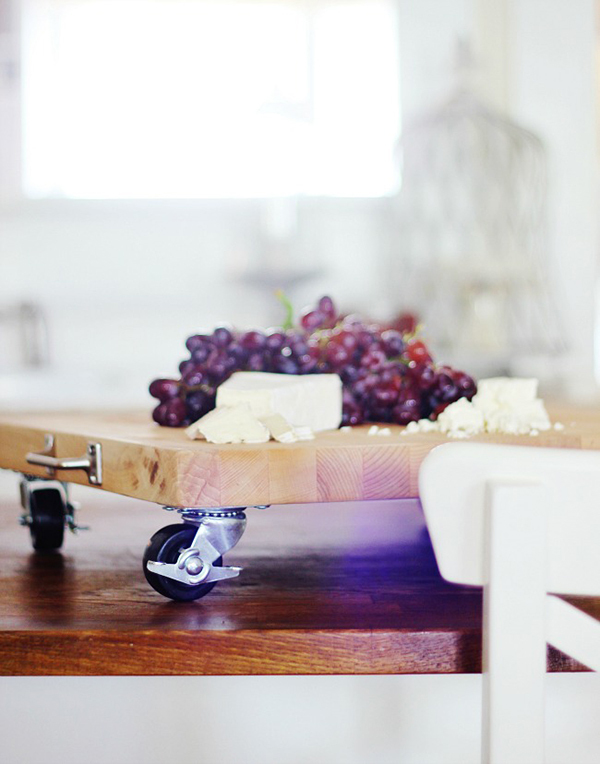 Don’t you love the look of it…just look how it looks on Kari from Thistlewood Farms Kitchen Island!Just roll those Cheese and Grapes over here! So SIMPLE…check out the DIY and ENJOY! Thanks again, Ms. Andrea; I really love the farmhouse look too, especially with an industrial feel to it! I wonder if this all began with the HGTV show Fixer Upper, or did Joannna just tap into a trend that was already getting big – ?